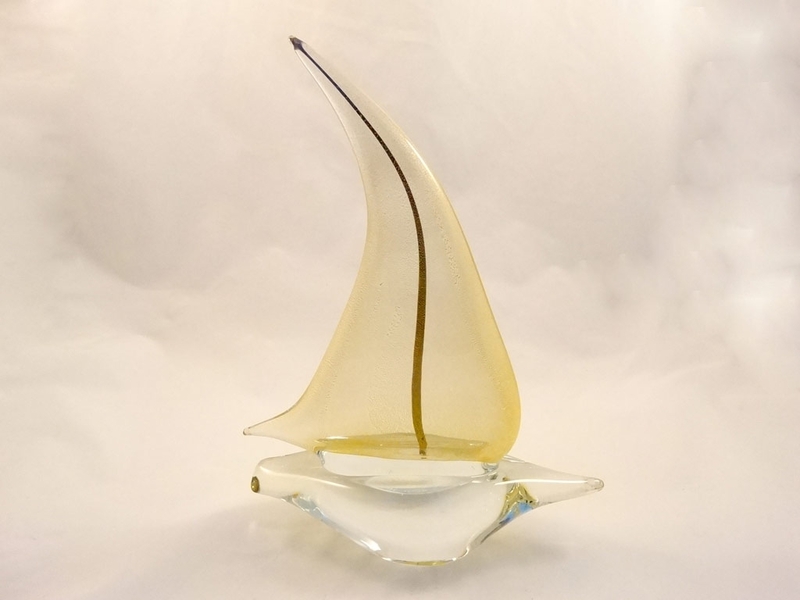 Murano Glass Sailboat on Wave Calcedonia - Murano Glass - Murano Glass Gifts Co. 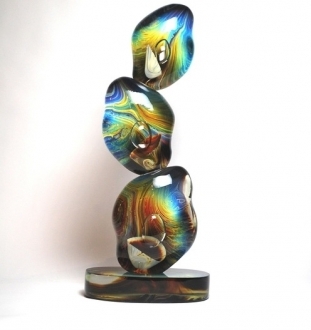 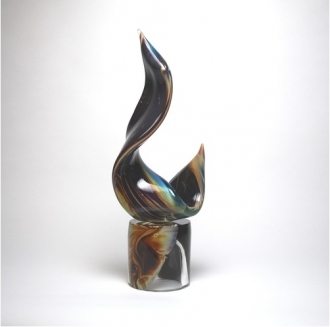 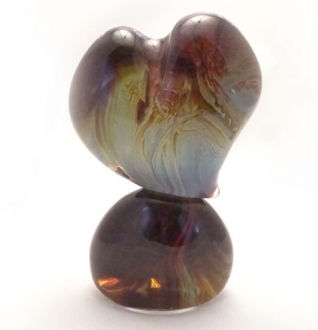 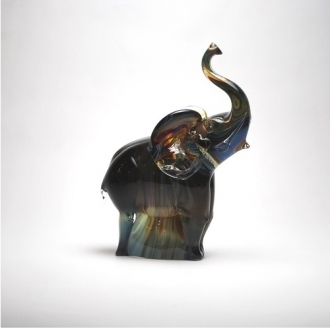 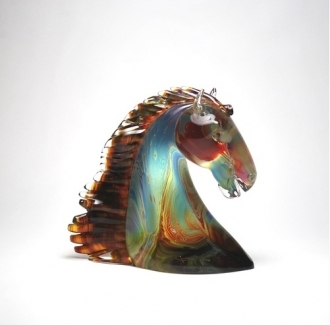 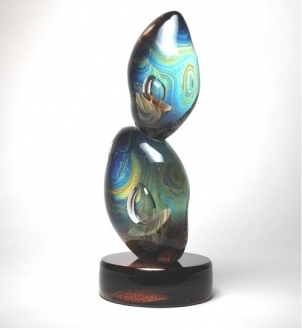 This Murano glass sculpture will escalate the style quotient of you room several rungs high because this will be the only piece of its kind. 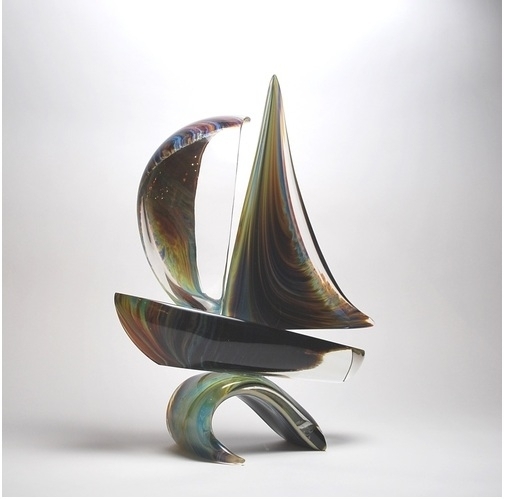 The technique used in creating this prestigious handiwork is called calcedonia. 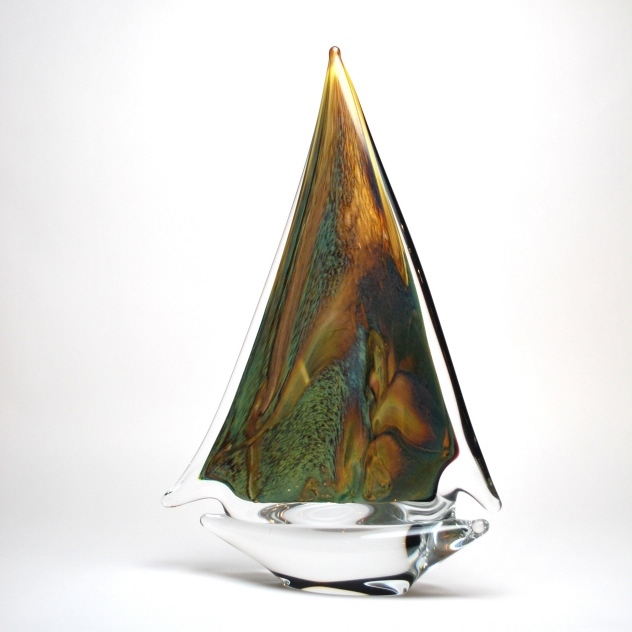 The Murano artists design the striation in this technique by mixing various chemicals to the molten glass. 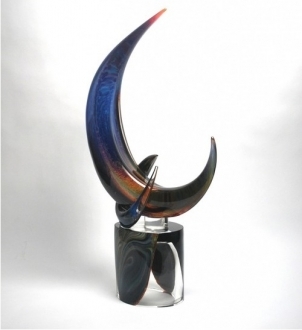 The design that evolves is not under the control of the artist; hence each piece is the only one of its kind. 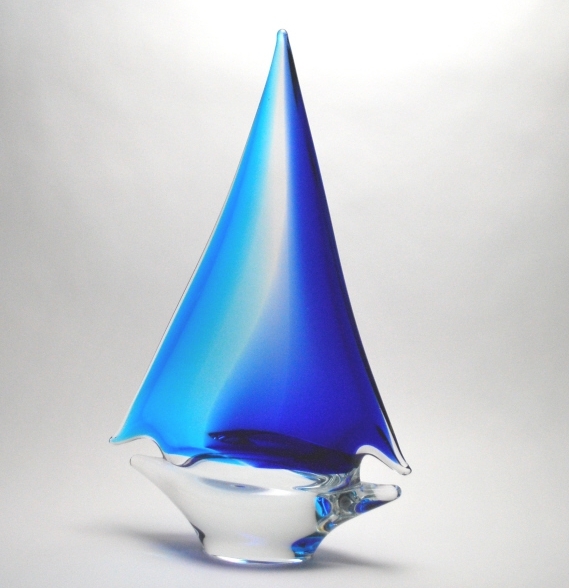 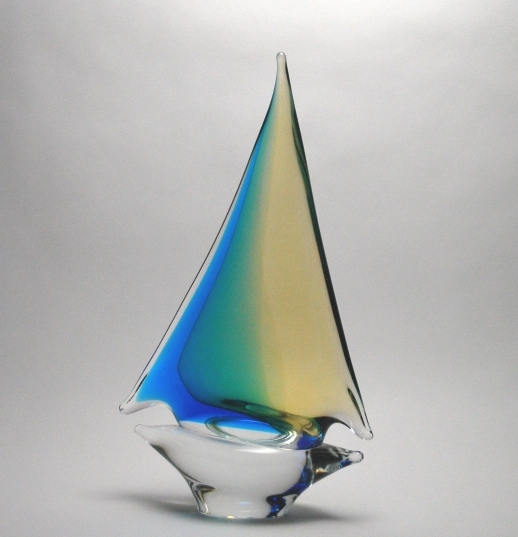 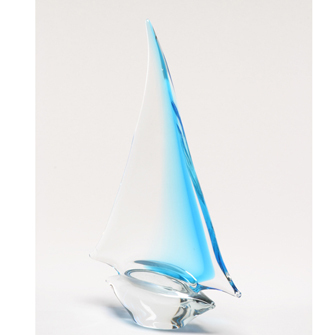 This 16” high and 11.25” long Venetian glass boat is mounted on a calcedonian wave. 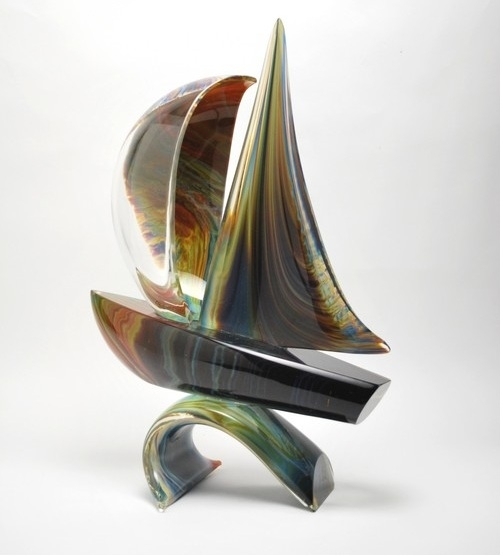 The two billowing sails give the impression of the sea at its wildly beautiful self. 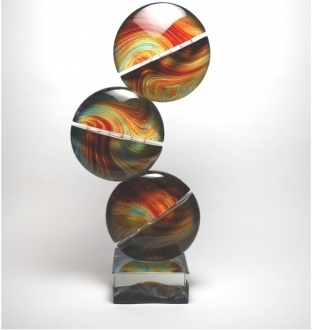 This gorgeous piece of art is a décor item as well as a handsome gift article.